The China Securities Regulatory Commission (CSRC) has warned of a bubble in the share prices of new-economy companies, singling out Ping An Good Doctor, ZhongAn Insurance, China Literature, Yixin Group, and Razer, noting that the wild price swings after their IPOs have raised concerns about overpricing. The CSRC has asked issuers, underwriters, and institutional investors to “exercise caution” in the initial public offering (IPO) book building process after it recently launched a pilot program to support innovative companies to list on domestic stock exchanges and allow overseas listed mainland companies to issue China Depositary Receipts (CDRs). Book building is the process by which an underwriter attempts to determine at what price to offer an IPO based on demand from institutional investors. Several new-economy companies have quickly plunged from their peaks or fallen below their offer prices after being listed in Hong Kong. Ping An Good Doctor, the biggest listing in Hong Kong so far this year, dropped below its IPO price of HKD54.9 on its second trading day on May 7. ZhongAn Insurance, China Literature, Yixin Group, and Razer were the four biggest technology listings in 2017. Among them, three have already fallen below the offer price. Yixin Group was the worst performer, down 51% from its IPO price. ZhongAn and Razer have fallen 9% and 42% respectively. Compared with their respective peaks, the combined market value of these companies has evaporated by more than HKD160 billion. Meanwhile the market is looking to a few major upcoming initial public offerings (IPOs). China’s restaurant review and delivery firm Meituan Dianping plans to file for an initial public offering (IPO) in Hong Kong, which would make it the city’s second multibillion-dollar public listing by a tech start-up this year. Meituan is considering selling about 10% of the company, the minimum required under Hong Kong exchange rules, to avoid dilution. Meituan was most recently valued at USD30 billion, making it the world’s fourth most valuable start-up, according to CB Insights. Founded in 2010 by Wang Xing, Meituan handled USD57 billion of transactions last year between about 320 million active buyers and more than four million merchants. But the company faces competition with entities backed by Alibaba in food delivery, with Didi Chuxing in ride hailing, and with its own backer Tencent in payments. Wise Talent Information Technology, which operates China’s largest job recruitment site Liepin, is seeking to raise as much as HKD3.12 billion in Hong Kong – the second biggest IPO by a unicorn company this year after Ping An Good Doctor’s USD1.1 billion listing in April. Wise Talent is backed by venture capital firm Matrix Partners China. The retail tranche – 10% of the total offer size – will start trading on June 29 on Hong Kong’s main board. Rick Dai, Chairman, CEO and Founder of Wise Talent, said that since a lot of overseas highly-skilled Chinese are gradually returning to China for employment and using the platform, there is a big demand in the market. 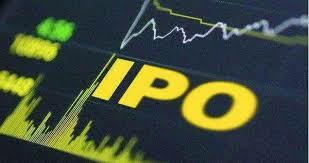 He added that the IPO was well-timed because of the rapid growth in Chinese tech start-ups and innovation. Liepin, launched in 2011, is China’s largest job recruitment site by revenue. Its database included 248,600 companies, 38.9 million professionals and 101,800 headhunters in 2017. About 40% of the IPO proceeds will be used to enhance research and development (R&D) capabilities, such as hiring AI and data specialists to improve existing matching algorithms and develop AI-empowered voice and facial recognition technologies to interview potential job candidates via robots. Boston Consulting Group (BCG) is tipping state-owned multi-business conglomerates as solid, future long-term bets. Based on a study of 380 listed Chinese conglomerates, or their listed subsidiaries, the firm found state-owned conglomerates’ total shareholder returns (TSR) over a ten-year period (2006-15) actually beat their western and Japanese counterparts. TSR combines share price appreciation and dividends paid to show the total return to shareholders expressed as an annualized percentage. BCG measured relative TSR, that divides benchmark returns, to measure how stocks outperform or underperform the overall market. The result is that Chinese conglomerates’ relative TSR registered a median 3.4%, beating the U.S.’s 0.6%, the UK’s 3%, and Japan’s -1.7%, which BCG attributed to China’s overall strong economic growth and corporate revenue expansion in the past decade. BCG then examined how performance varies across different ownership. And contrary to public perception, state-owned conglomerates generally outperformed private ones, it said. Multi-business state-owned conglomerates such as Cofco Group, China Merchants Group and China Resources beat all other types, BCG said. Hong Kong’s financial industry professionals are still divided over how they can reorganize the city’s stock exchange to make it the world’s most attractive place for startups and technology firms to raise capital, even as the first round of a public consultation process drew to a close on August 18. Hong Kong Exchanges & Clearing (HKEX), the operator of Asia’s third-largest equity bourse by market capitalization and overseer of the consultation, has proposed the establishment of a third board to provide a listing avenue for companies with dual share structures, as well as those with no profit track record. Accountants, bankers, brokers and lawyers are divided over whether a third board is needed, in addition to the existing main board and the growth enterprises market (GEM) for startups. “We received a lot of comments already, and we expect to receive more,” said Charles Li, Chief Executive of HKEX. “If the market supports it, we will have another round of consultation of detail regulations. If all would gain support, I would hope to see the new board to start in the first half of next year”. At stake is how Hong Kong can make its bourse attractive enough as a fund-raising destination in competition with New York, Shanghai or Singapore and other global markets, especially for startups and so-called new economy companies in financial technology, e-commerce and biotechnology, the South China Morning Post reports. Chinese small and medium-sized banks have stepped up their pace in going public to meet growing capital demand from rapid business expansion and tightened regulation. There were 12 banks waiting for IPO approval from the country’s securities regulator, the second group to enter the stock market after entry was reopened for banks more than a year ago. Nine were city banks, including Bank of Lanzhou and Bank of Changsha, while three were rural commercial banks. Six posted double-digit growth in net profit in 2016 despite a lackluster banking sector, while Bank of Chengdu saw an annual drop of 8.48%. Unlike bigger peers, small and medium-sized banks often face difficulties in meeting regulatory requirements in capital adequacy, which is a precondition for business expansion. Bank of Xian improved its total assets by 3.78% from a year ago in 2016, but its capital adequacy ratio dropped 1.2%. The IPOs will allow banks to secure more financing channels, including private placement and preferred stocks to replenish capital, analysts said. Sogou, China’s second largest mobile search engine, has taken the first step to launch an initial public offering (IPO) in the United States as early as market conditions permit. The number and dollar amount of American depositary receipts (ADRs) proposed to be offered and sold have not yet been determined, but the IPO’s value could reach as much as USD5 billion. Sogou plans to keep investing in artificial intelligence (AI), big data, and the internet of things (IoT). Baidu is still the No 1 search engine operator in China.